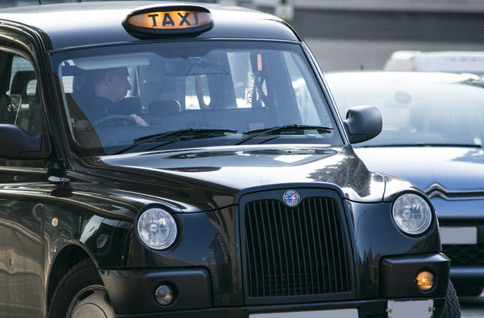 To become a taxi (or private hire) driver most local authorities require you to take a Taxi Driver Assessment. What is the taxi driver assessment? The driving part of the assessment checks that you can start and stop smoothly, and can use the gears, brakes, steering, signalling and mirrors correctly. We ask you to stop and start at the side of the road safely, and turn round in the road, as if you were driving a taxi. Are you ready for the assessment? Many people fail the assessment because it’s been a long time since they passed their driving test. If this could be you, and you don’t want to waste money, we recommend doing our taxi driver pre-assessment training first. Your car must be taxed, insured and have an MOT if it needs one. It must have legal tyres, no warning lights showing, clean windows and mirrors, and be completely legal and roadworthy. If you’re late, or don’t have the right documents, you won’t be able to take the assessment and will lose the fee. If you pass the assessment, you’ll get a certificate. You need this when you apply for your taxi driver licence. If you fail, we’ll tell you where you went wrong. Consider taxi driver pre-assessment training before trying again. You can book your assessment by phone or online. It costs £80. Phone 0300 123 1518, 8.30am to 3pm, Monday to Friday (except bank holidays). Have your driving licence and debit or credit card with you. The assessment is administered and delivered by DriveSafe on behalf of the referring Local Authority. The assessment fee must be paid in full at the time of booking by debit/credit card. If you are unable to attend the assessment date, you must contact us immediately to arrange an alternative date. By agreeing to the assessment fee, you are also agreeing that should you re-arrange your assessment an additional fee of £80.00 will be payable. Under the Consumer Contracts Regulations 2013, you have the right to cancel your assessment within 14 days (the “Cancellation Period”) from the date on which you booked the assessment. To re-arrange an assessment with less than 7 days notice prior to your assessment date an additional fee of £80.00 will be payable. It is essential you bring a passport sized photograph with you to your assessment. It is essential you bring photographic identification to the assessment (preferably a photocard style driving licence). If you do not have a photocard style driving licence, you must bring the paper style licence and a passport or similar photographic means of identification. We can only accept original identification (electronic copies or photocopies cannot be accepted). Should you be unable to produce the required documentation, you will be turned away from your assessment. It is an offence to attempt to illegally misrepresent the true identity of another driver of a motor vehicle by attending the assessment in place of someone else. If you fail to attend an assessment, or are refused entry to your assessment if you are unable to produce the required documentation, it is possible to offer you an alternative assessment date. This is subject to payment of an additional fee of £80.00. Late arrivals will not be allowed to participate. We recommend that you locate the venue prior to the assessment date. You must arrive promptly at the stated time on the day of the assessment. An assessment checklist will be provided. It is recommended you use this checklist to ensure you will be allowed to participate. Please ensure your vehicle is road worthy (tyre tread, all lights are working etc). It is a condition that you present yourself in a fit state, having had proper rest and not under the influence of alcohol or drugs. To pass your assessment you must complete the driving licence and identity check, the eyesight test, ensure your vehicle is road worthy, successfully complete the drive and correctly answer any Highway Code and ‘Cabology’ questions asked. However, any abusive or inappropriate language, threatening or disruptive behaviour towards our examiners will result in you being turned away from your assessment. In the unlikely event we are unable to deliver an assessment due to reasons beyond our control, we will reschedule your assessment as soon as possible at no additional cost to you. DriveSafe shall not be liable for any fees, costs and/or expenses incurred as a result of a cancelled assessment.